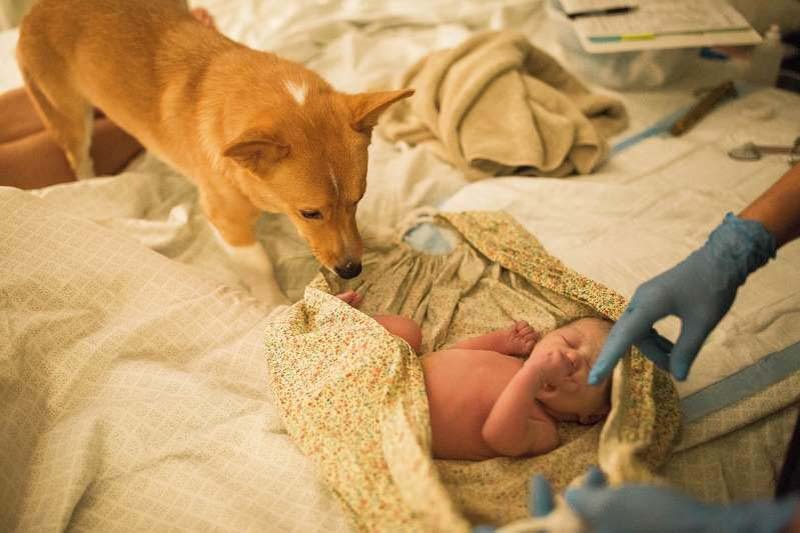 This sweet pup is so proud to be a big brother he never left his owner's side during her labor. [post_ads]It's not unusual for pregnant women to have a support system present for delivery, from their partner to their medical provider. 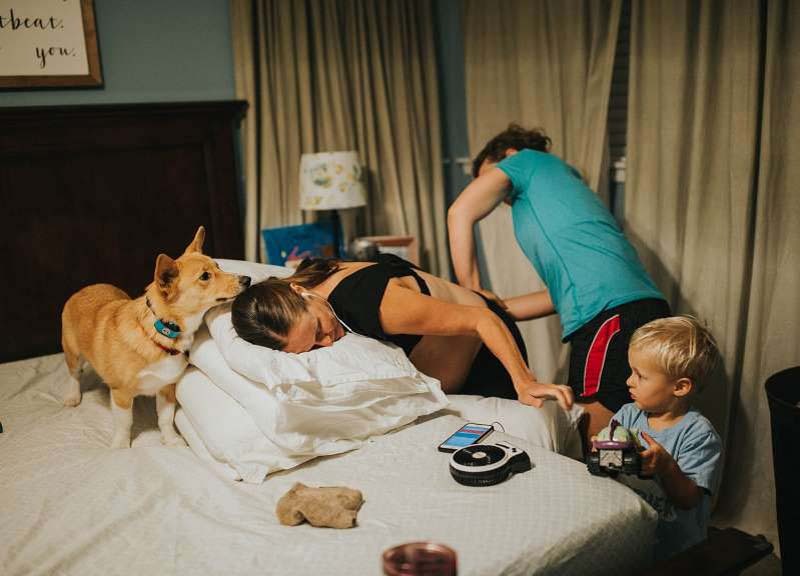 But for Texas mom Brooke Ellington, an unexpected part of her cheering section during her recent home birth was her 1-year-old Corgi, Ranger. © Kristin Ann Photography TODAY, product courtesy of merchant siteDuring her June home birth, Brooke Ellington was photographed by Texas photographer Kristin Waner. Ellington says she and her husband, Steven's, first Corgi died last year. The couple adopted Ranger as a puppy a few months ago to "fill the hole in their hearts" after the loss. © Kristin Ann Photography TODAY, product courtesy of merchant siteIn addition to their newborn daughter, Berkeley, Brooke and Steven Ellington also have two sons, Boone, 5, and Boyd, 2. "I don't think I could love him more," Ellington told TODAY Parents. "For only having him less than year, he is such a big part of our family and is so loyal to all of us." So when Ellington delivered her third child, a baby girl named Berkeley, on June 29, it was no surprise that Ranger stayed close to his owner's side, comforting her throughout her labor and delivery. © Kristin Ann Photography TODAY, product courtesy of merchant siteThe Ellington family adopted Ranger a few months ago, after their previous Corgi died of cancer. "I remember him checking in with me from time to time, but I didn't realize he was right there by my whole side the entire time until I saw the photos," said Ellington. "I was in tears seeing how loyal and curious he was." 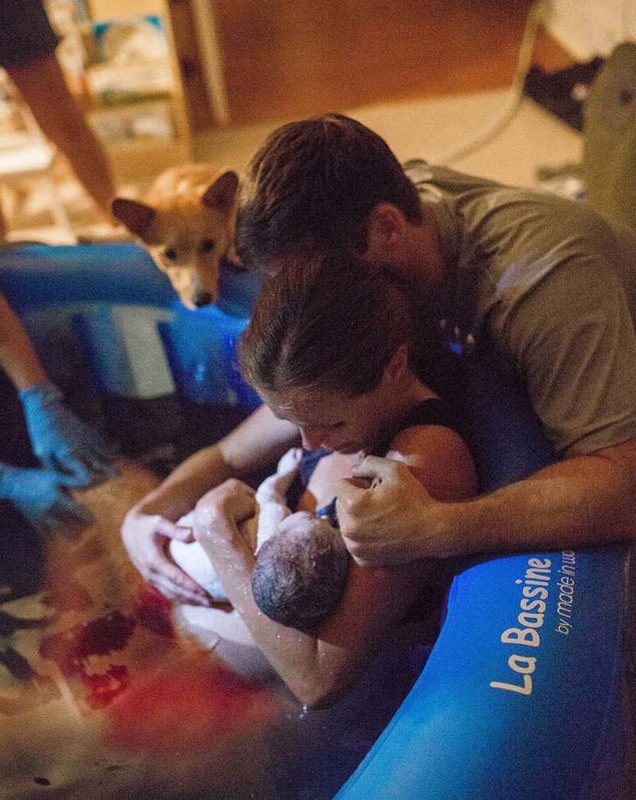 Ellington's birth photos, taken by photographer Kristin Waner of Kristin Ann Photography, show Ranger following close to her side — Ellington lovingly scratching Ranger's head while in labor and Ranger giving his owner kisses from her position in the birthing tub. 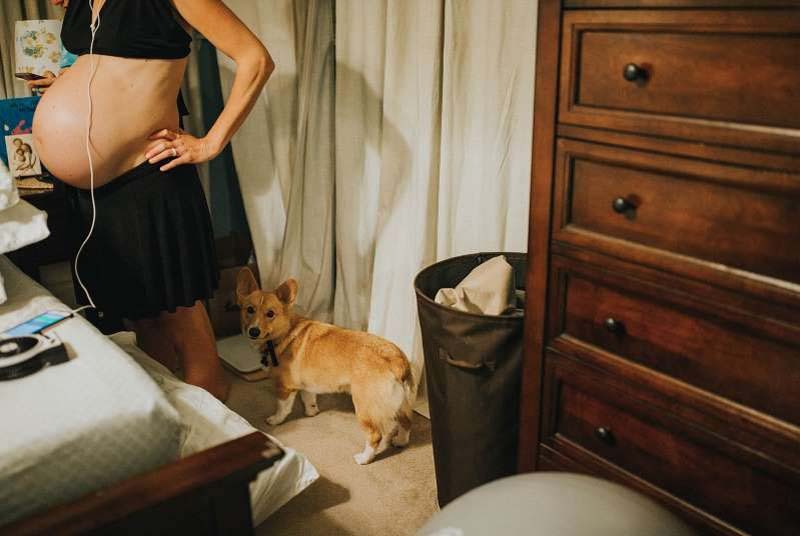 © Kristin Ann Photography TODAY, product courtesy of merchant site"You could tell he loves her more than anything and wanted to help her through her labor," said Waner of the pup. 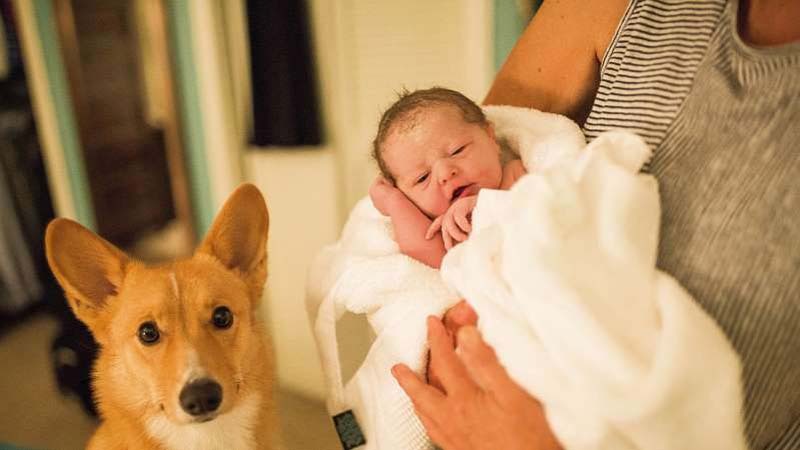 After baby Berkeley's arrival, the photos take on a new level of cuteness, with Ranger curiously sniffing his new baby sister and staring quizzically into Waner's camera. 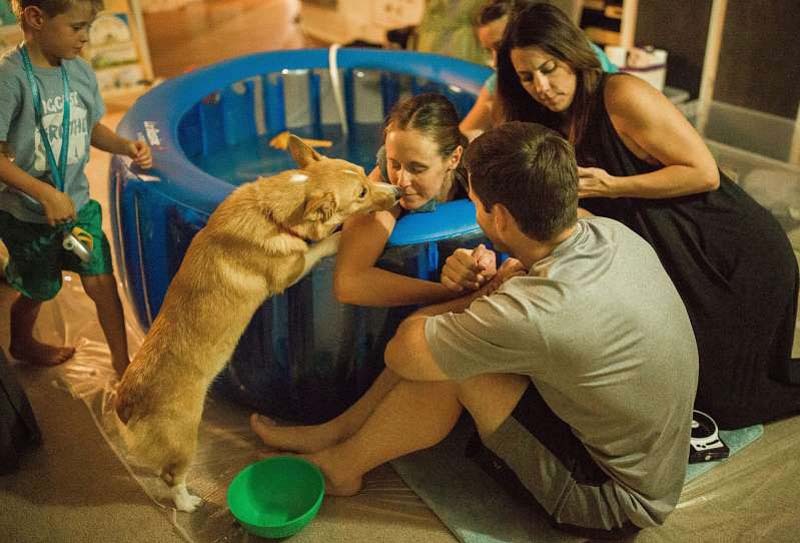 While Waner has photographed home births in the past, she says Ranger is the first pet she has seen stick so closely to his owner's side. "You can tell he loves her more than anything and wanted to help her through her labor," said Waner.